The Sixth Form Enrichment Programme is an extension to learning, beyond the classroom. In these increasingly competitive times we believe it is an essential to provide our students with the opportunity to extend and develop their skills beyond A-level study. The Enrichment Programme is integral to this aim and is also essential part of sixth form life being a compulsory element of the sixth form curriculum. Building an unbeatable CV or strong UCAS application is about so much more than purely academic qualities. The enrichment programme is designed to sit alongside academic studies and really “make the difference”, providing the opportunity to develop personal qualities, many of which you are yet to discover. Learning about yourself is one of the keys to success: skills that will stay with you forever. It is no longer enough to have great A level results; it is becoming evident that university admissions tutors and workplace recruitment officers are increasingly looking for more. They are seeking individuals who have attempted to explore their full potential across different areas in order to develop a broad range of transferable skills and attributes. Universities are also interested in whether a student has the ability to cope with a wide range of activities alongside their academic work, evidencing their organisational skills and personal qualities. Our aim is to ensure that students leave the Sixth Form as confident, happy and independent young adults, fully prepared for the challenges of life ahead. Beyond your core studies, our enrichment programme forms an integral part of the Sixth Form curriculum, providing a range of activities to extend your personal growth beyond the academic. Enrichment helps support your career aspirations by providing the opportunity for you to gain relevant experience. Importantly, enrichment also helps students develop new interests and have fun. All Year 12 students participate in enrichment on Wednesday afternoons. A wide range of enrichment activities are available, from working with local charities and learning new skills to participating in the Young Enterprise programme or sport (be it just for fun or competitively). 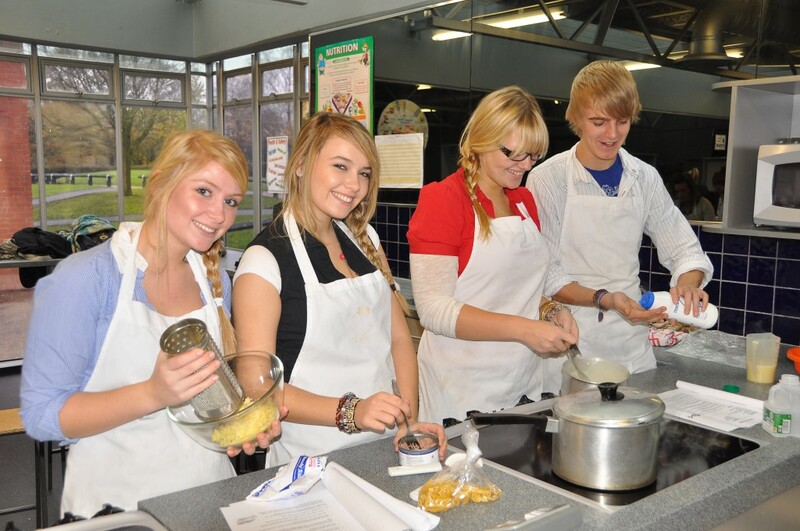 Students select a new activity each term to enable them to develop a range of experiences and transferable skills. Please see the Enrichment booklet for further details on enrichment opportunities.